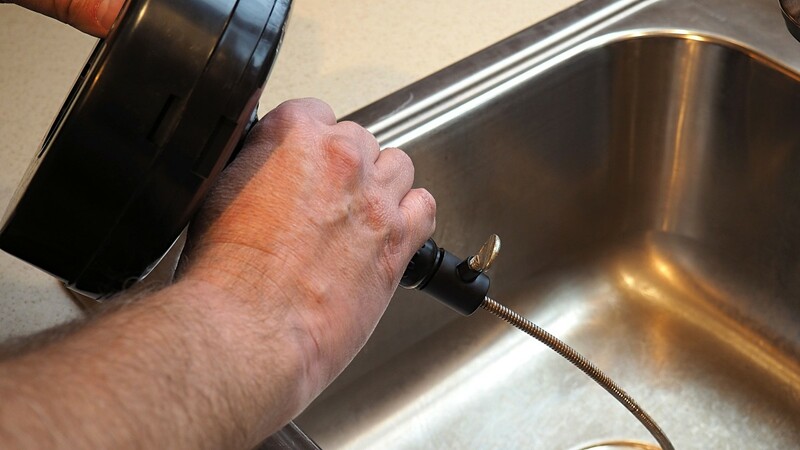 Unclogging a kitchen sink drain is often easier than some people think. Avoiding the cost of calling out a plumber is always preferable in my experience, even if that means fixing the problem yourself. Most clogs can be resolved by employing some relatively simple and straightforward techniques and tools. Once you have unclogged the sink, it is then time to work on minimizing the chances of the problem reoccurring. Here are seven suggestions for how to clear a clogged sink drain. Check the garbage disposal (if you have one). Use a plunger to dislodge the clog. In my experience, unclogging a kitchen sink drain can require a combination of more than one of these methods. The whole process could take you anywhere from ten minutes to an hour to clear a clogged drain, depending on the nature of the blockage. The job can be messy, however, and care must be used if chemicals are involved, as splashes can burn skin or worse. Apart from calling a plumber, most of my suggestions are relatively cheap or cost nothing—they use tools and materials you should already have in your house. Below, I will go into more detail about each method. 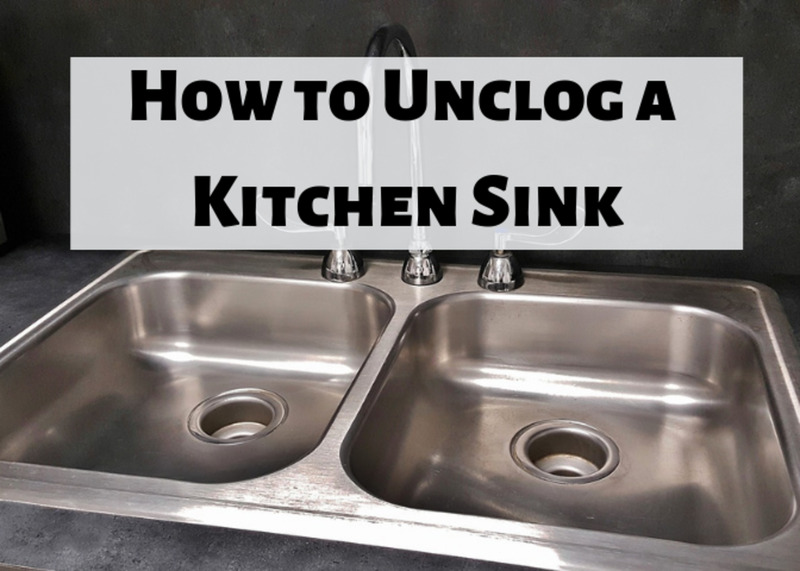 A clogged kitchen sink drain requires urgent action. Blockages can be caused by a variety of things, but typically involve foods such as coffee grinds, fat from meats such as bacon, and starchy foods like rice and pasta. If your kitchen sink has a garbage disposal, then you will need to check it for clogs. They can easily get blocked up with bits of food. To determine the source of the clog, switch off the disposer first. If you stick anything down the drain, then you will also want to switch off the power. You can use a flashlight to look down the drain and try to determine the nature of the blockage: where it is and what is causing it. This will determine your tools and approach. The likeliest cause of the clog is pieces of food that are stuck between the blades—if it is something more substantial or valuable, such as jewelry, then you may wish to call a plumber. If it is food, try breaking up the debris by manually turning the disposer blades. The manual operator is normally at the bottom of the disposer and is operated with an Allen key. Refer to disposer manual for full instructions. Use pliers to remove any loose food debris. If the disposer is still clogged, then you will need to use a plunger. It may be possible to remove the disposer entirely for inspection. Be sure to pinch any connections to dishwasher first, however. Don't use chemical cleaners with a disposer as these can cause it damage. 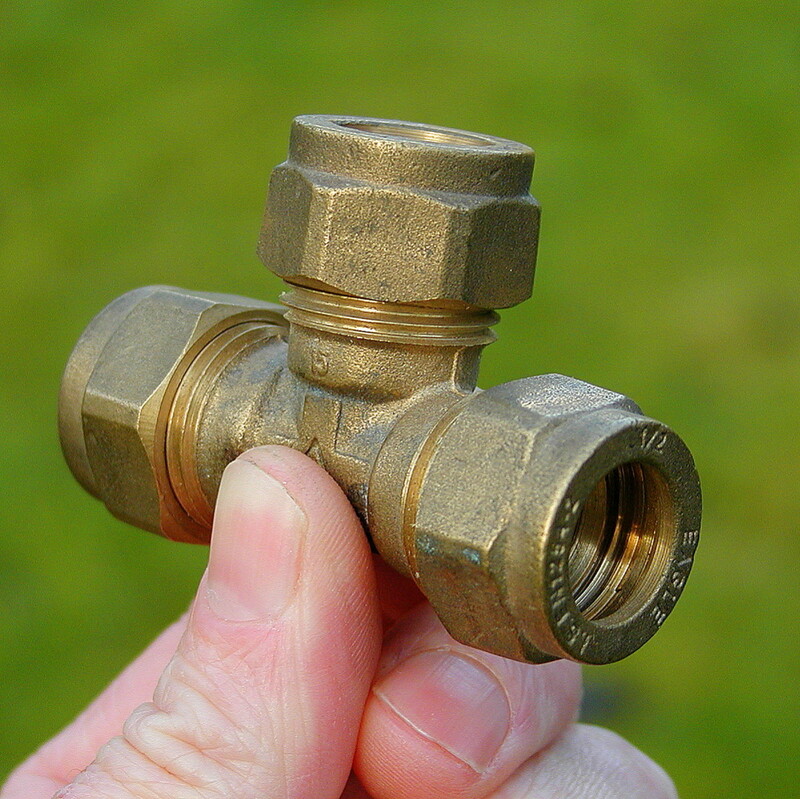 If the problem turns out not to be the disposer or you don't have one fitted, you will need to explore other methods. Never stick your hand inside the garbage disposer, as the blades are sharp and can cause serious injury. There are three types of plungers: the classic flat-bottom sink plunger, the accordion plunger, and the toilet plunger, which has an additional bell-end at the bottom. You are better off using a flat-bottomed plunger for this job. 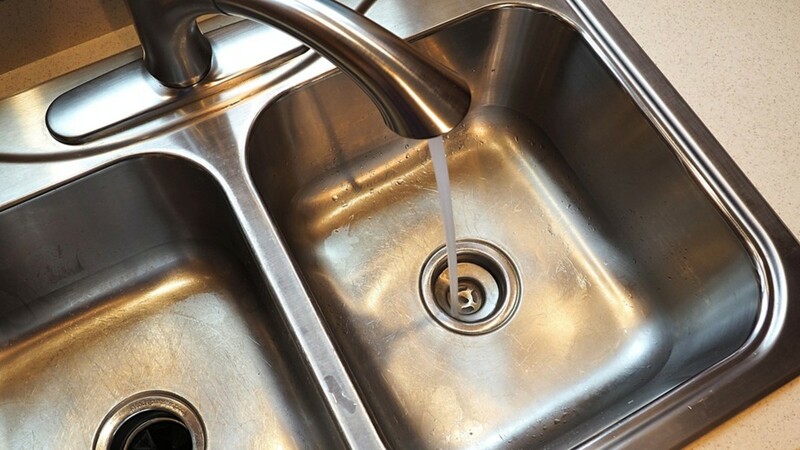 Run a few inches of water into the sink to aid suction and begin plunging. 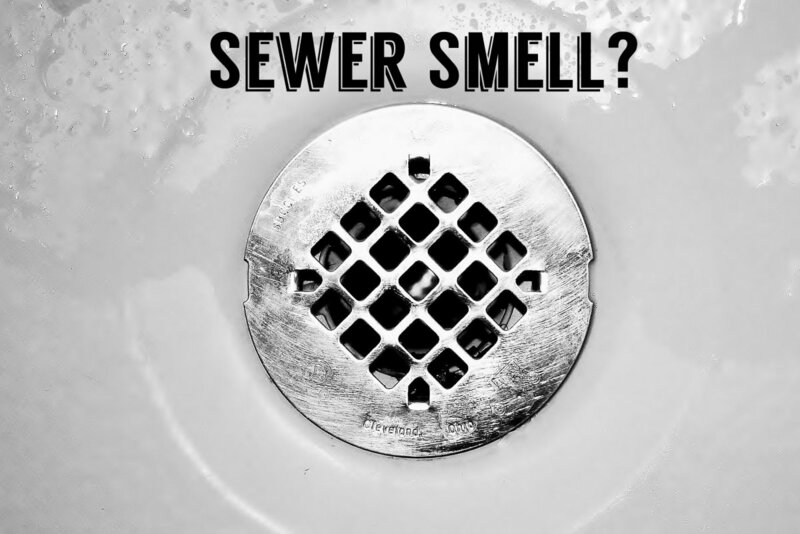 If you have a garbage disposer, try running it again afterward. Be careful not to overheat the disposer, however, as that can cause damage. Run some water into the sink. If it drains okay, then you're all set. If it doesn't run, then you will have to try to plunge some more or move onto another method. 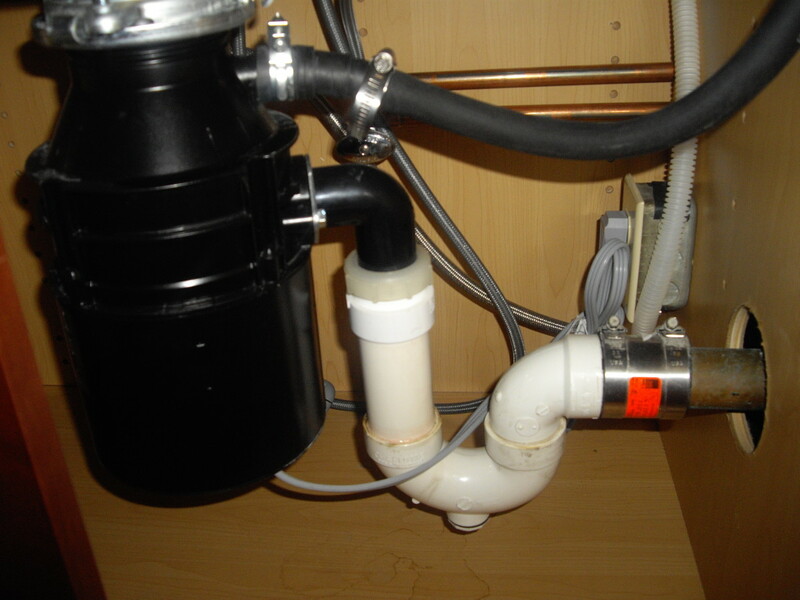 The P-trap is the elbow-shaped pipe under the sink. If this gets clogged with food and/or grease, then you may want to take it apart and clean out the gunk that is causing the blockage. Before you start, make sure that you have a bucket placed under the P-trap to catch the water that is backed up in your sink. You will then need to unscrew the connections to the pipe and wall. Remove the P-trap and inspect it for debris. 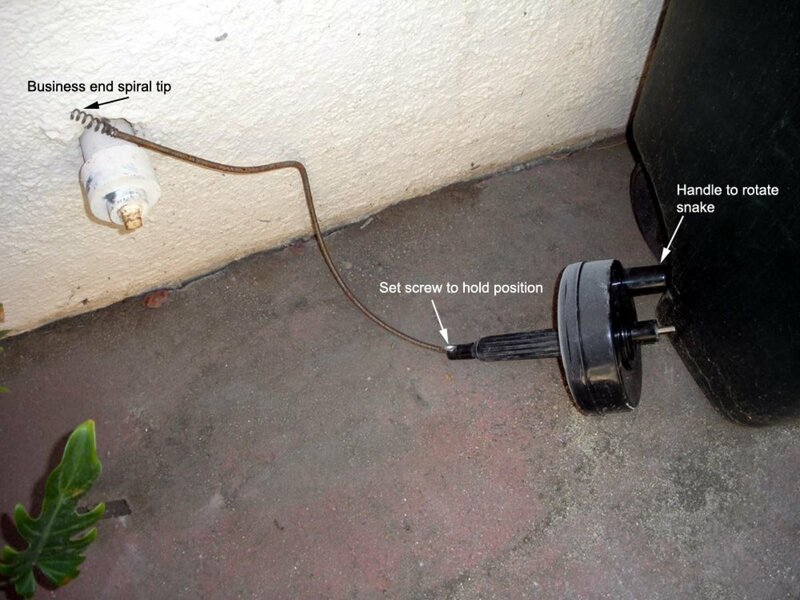 If the blockage is not in the P-trap, then you will need to try unblocking the drain with a plumbing snake. If the clog is further down your drain, you may want to use a plumbing snake to dislodge whatever it is clogging your sink. If neither plunging nor cleaning the P-trap works, you may need to use a plumber's snake to get rid of the clog. This tool consists of a coiled spiral snake, typically around 1/4-inch thick, with a handle at one end. The coil is used to reach down into the drain, and then the handle is cranked, dislodging and pulling up the clog. Some snakes are manually cranked, while others are electrically powered for extra strength. If you don't have a plumbing snake on hand, you can also use a wire coat hanger to fish out the clog. This is a cheap, easy method that almost anyone can do—all you need is a wire coat hanger and a pair of pliers. Unwind the wire looped around the neck of the hook and straighten out the hanger as much as possible. You might have to use pliers to do this. 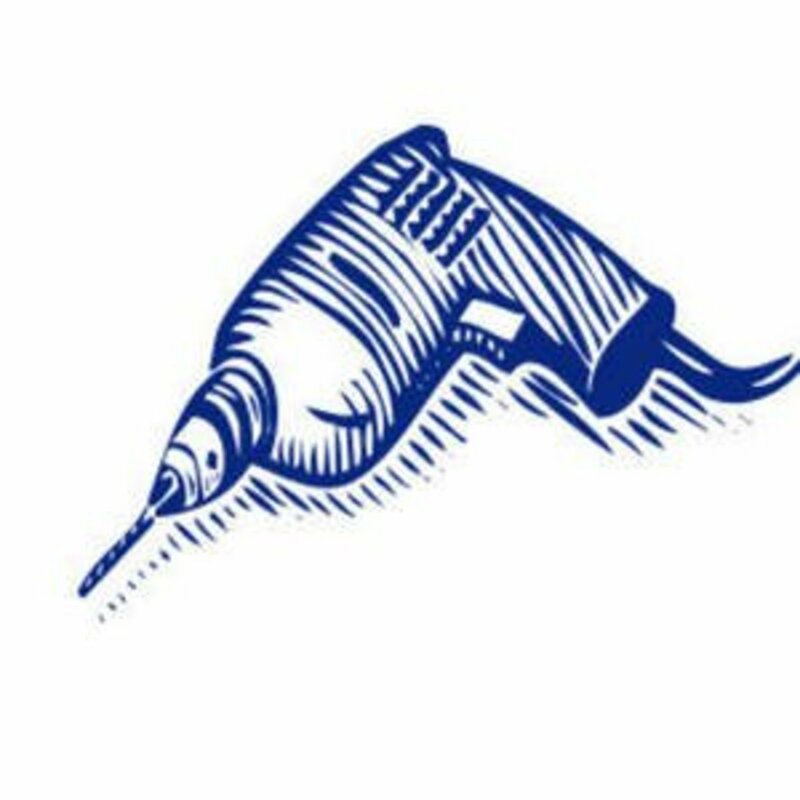 Use the pliers to create a small, one-inch-long hook at one end of the wire. Make sure it is narrow enough to fit through the drain. Insert the hooked end of the wire down the drain and gently wiggle it around a bit, trying to find the clog. Do not push down too roughly, as this might push the blockage further down the pipe. If you feel anything at the end of the wire, pull it up and out of the drain. You might not be able to remove the whole clog all at once, so try again to see if anything else comes up. Turn on the hot water from your faucet to make sure you got everything. If you try this trick and fail to find the blockage, it could be that the clog is further down the drain than the wire is able to reach. In this case, try one of the other methods listed in this article. This method avoids the use of chemical cleaners. 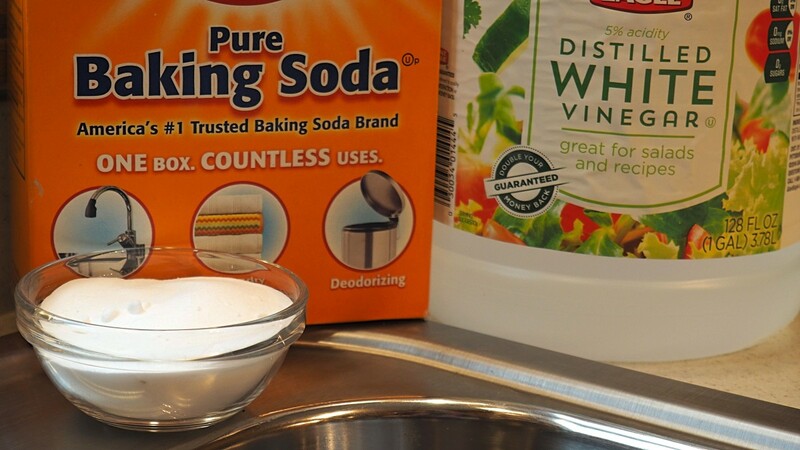 All you need is one cup of baking soda and one cup of vinegar. First, pour boiling water down the drain. Then push the baking soda down the sink drain, using a spatula if necessary. Allow it to sit for 5 to 10 minutes. Next, pour vinegar into the drain. Put the stopper into the sink, pushing the vinegar toward the clog and blocking off the mixture from coming back up. Finally, flush the drain with boiling water again. This method doesn't always work, but it is worth trying. Baking soda and vinegar in combination can sometimes work when it comes to unblocking clogs. The baking soda is added first, followed by the vinegar. The stopper should then be pushed in to contain the resulting reaction. 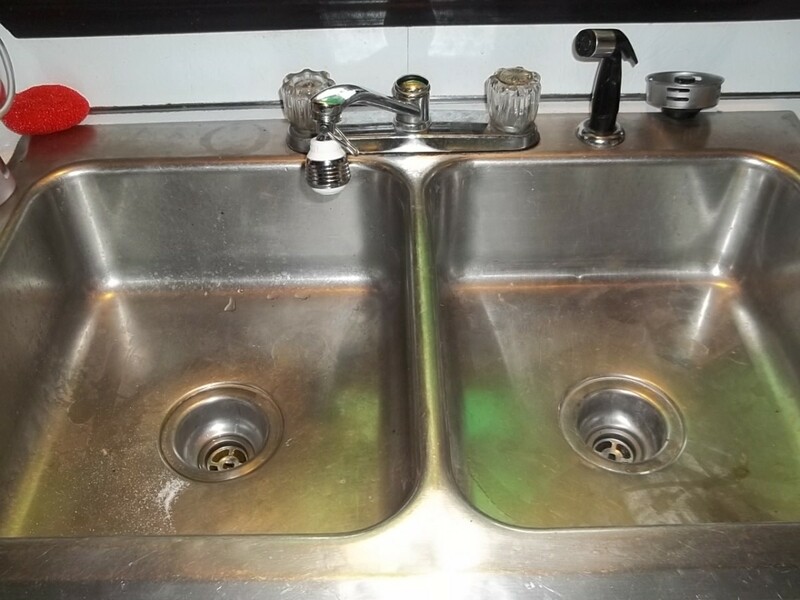 Note: If your sink has a garbage disposer, I would seriously recommend that you do NOT use a chemical cleaner, as they can ruin the blades and spray back into your sink. I would also not recommend using a liquid chemical cleaner if you have a complete clog rather than a slow draining blockage. If using chemicals with a complete blockage, there is a chance that the chemicals will become backed up into the sink, along with stagnant water. 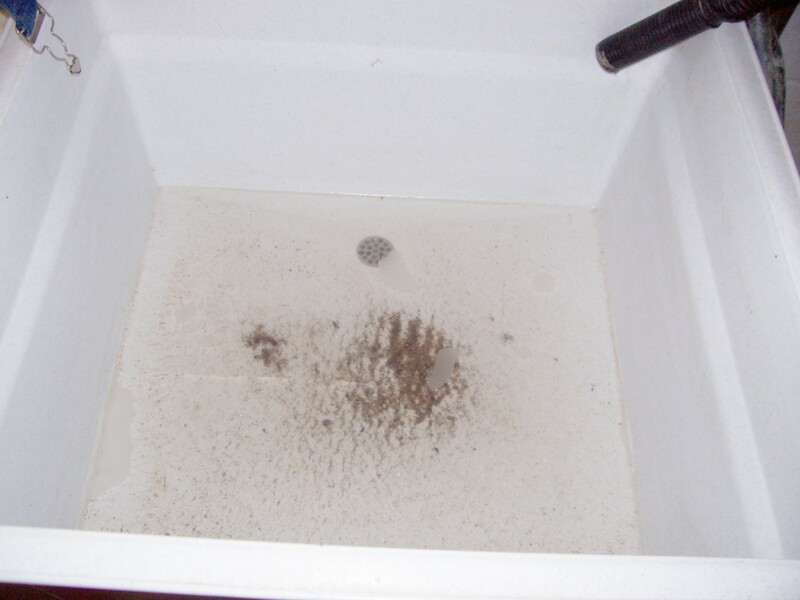 The type of cleaner you get depends on the type of matter you suspect may be causing the clog. Generally speaking, clogs caused by biological matter require a more acidic cleaner, whereas greasy clogs are better dealt with by using alkaline cleaners. Always read the label carefully and use the cleaner exactly as instructed. Chemical cleaners can be harmful if misused. If the above methods fail to work, your last resort would be to call a professional plumber. 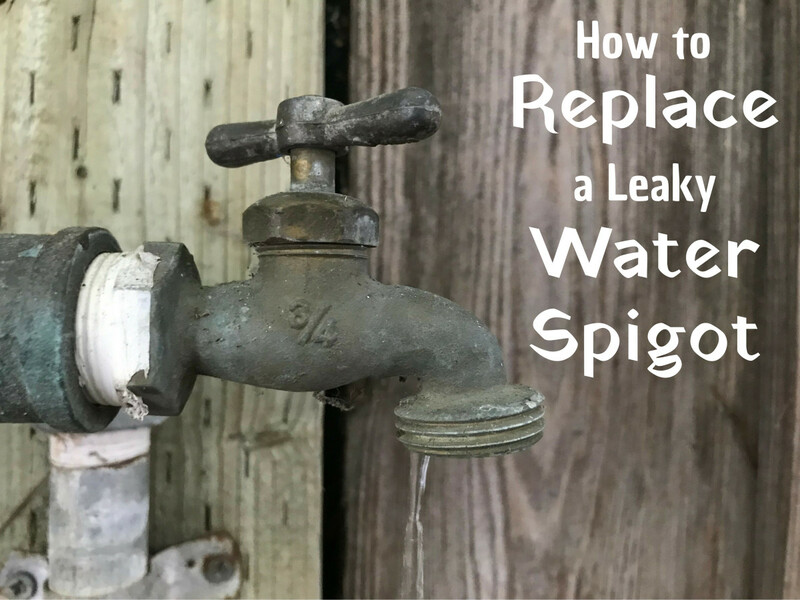 This is the least affordable option, but it can save time and trouble when nothing seems to work and you don't want to start messing around with the plumbing. The cost of a plumber can range from $175 to $450 depending on how long the job takes to fix, so be sure to try the other options first if you're pinching your pennies. If you're not worried about the cost, however, it may be the least troublesome to just get someone else to fix the problem. The initial problem you'll start to notice in your sink is slow drainage: When you turn on the faucet, the water will be slow to go down the drain. After a time, if this is not resolved, the water will begin to back up and drainage may eventually stop altogether. When that happens, it's definitely time to unclog your sink. It's important to note that once drainage problems have begun, they will usually only get worse over time unless action is taken. The sooner you deal with the problem, the easier it can be to resolve. What Causes a Sink Drain to Become Clogged? 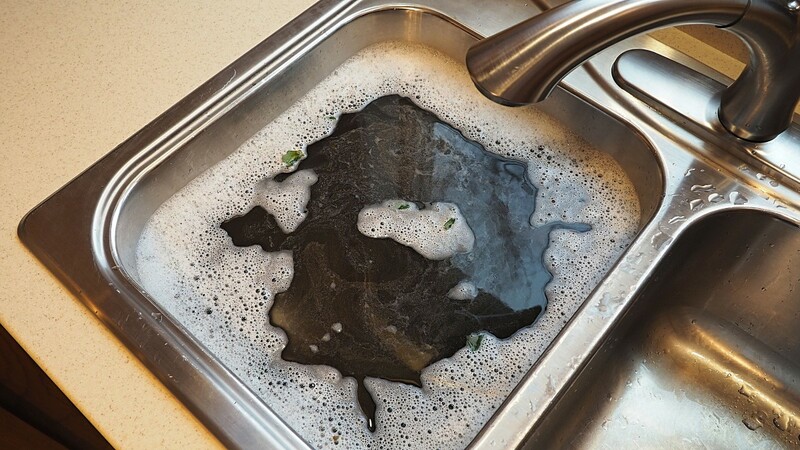 If your kitchen sink has a garbage disposer, it's very probable that the food residue from washing dishes caused your clog. Although most food types are capable of causing clogs, there are some types that are much worse offenders than others. Rather than putting them down the garbage disposer, it's a much better idea to compost them, throw them away, or otherwise dispose of them responsibly. Prevention is almost always better than cure, of course, so don't abuse your drain. Be sure not to allow the foods listed above down your drain. However, mistakes do happen, so you may also wish to invest in a good sink strainer to stop the sink drain from getting clogged up with food pieces. As mentioned above, a plumbing snake or drain auger can be a very useful tool to have around too. It can be used not just for sinks but also for unclogging shower drains. And, in case none of these methods work, it wouldn't hurt to have the name and number of your local plumber on hand. I'm no longer scared of tackling this. . .Thanks from Mississippi ! Very good advice after we figure out the tools. Thankyou! Very good advice after we figure out the tools. Thanks for your list of essentials.